Back with another review! 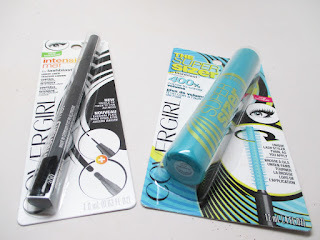 I recently got to try out some new products from CoverGirl. We're down to the basics every girl needs - mascara and liner. There were definitely some innovative twists on these products. Check it out! First off, I tried out CoverGirl's new IntensifyMe! Liner. It's a pretty interesting concept. The head of the pencil is more of a flat tip instead of pointed. 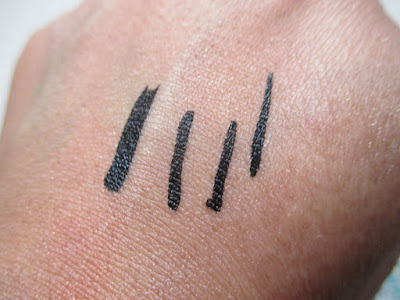 This is pretty nifty to help you get wide, wingled liner shapes or you can use it on the tip for a thin line. I found the formula to be surprisingly dark and opaque and it also lasted all day. 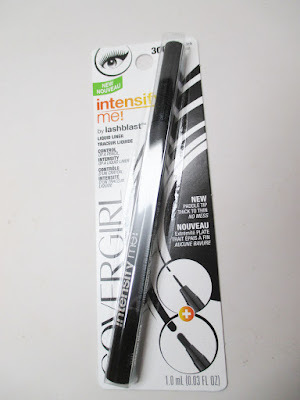 I've had issues with CoverGirl liners in the past but this one worked well. I will say that it does take a bit of practice to get used to the new head - you either love it or hate it. I think it's worth trying out. 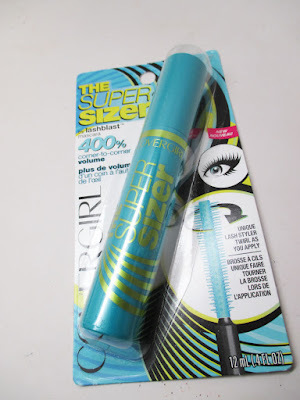 Next up with CoverGirl's The Super Sizer mascara. I'm a big fan of CoverGirl Mascraas. This one is supposed to give you up to 400% volume and has a really interesting wand. 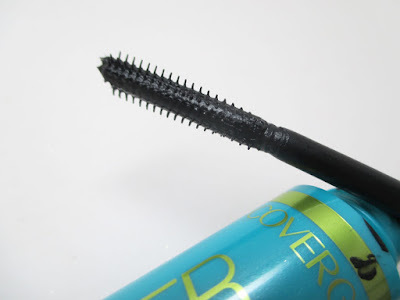 You're supposed to turn the wand as you apply mascara to the lashes in order to build up the volume. It's an interesting shape in that it is flat yet has the rounded bristles. I like the small head for precise application. 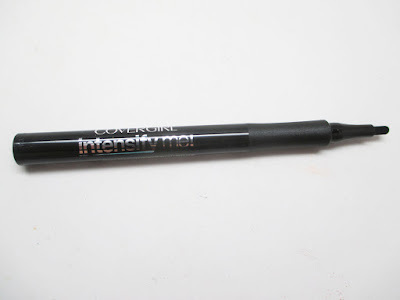 I found that the formula is rich, black and a wet consistency which I like. My lashes are pretty pathetic - short and thin, but I did find that this gave me good volume, not so much length. 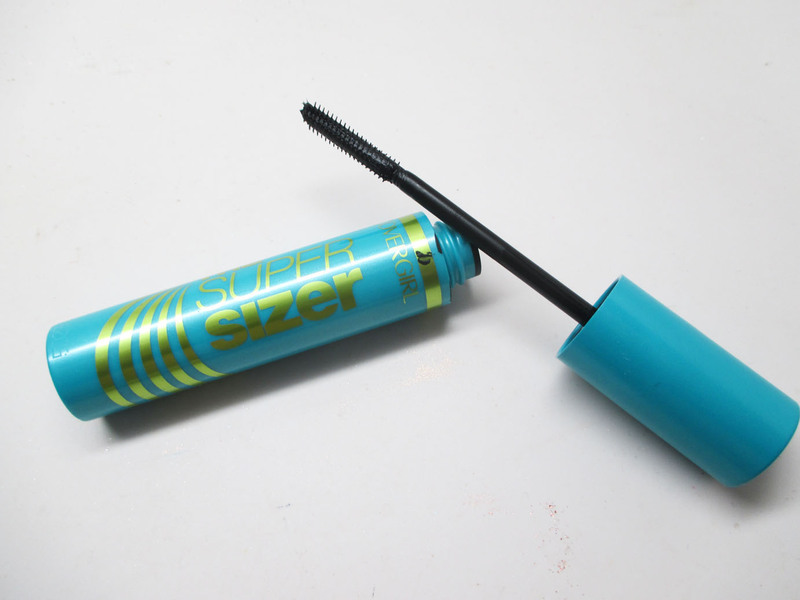 This has been my go-to mascara recently. Give it a shot! I hope you all enjoyed the review! You can find these products in the beauty aisle of your local drugstore. Till next time, Ciao Bellas!